Curious about what "wellness" means? Interested in ways to kick-start a healthier lifestyle? Then the 24-hour yoga retreats at The Spread Eagle Hotel & Spa may be just the quick fillip you need to put your intentions into practice. 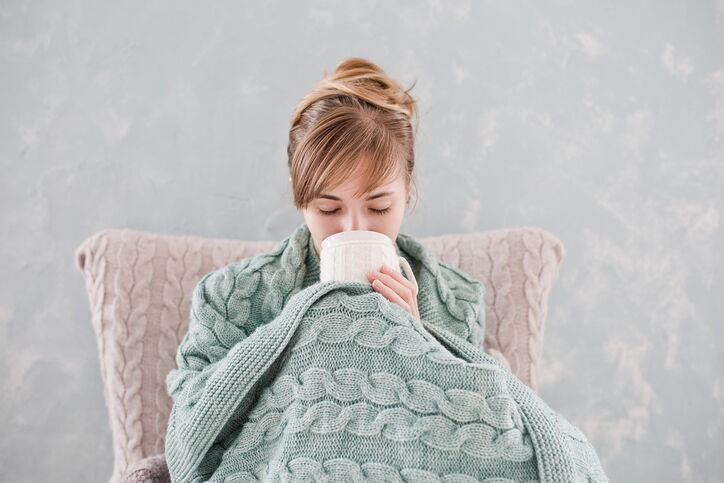 Here at The Good Spa Guide, we were certainly curious as to whether 24 hours could make a life-changing difference. Single Spy dusted off her chakras and went along to find out. We arrived late morning -- a mix of single spa-goers -- to settle into our rooms. 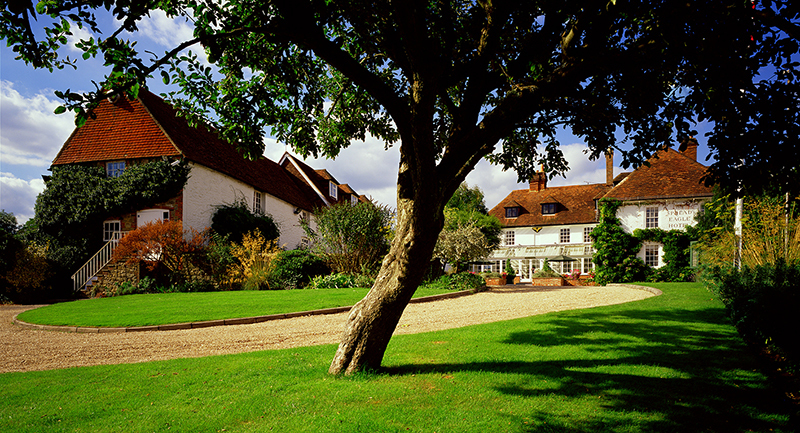 The Spread Eagle Hotel & Spa, one of England's oldest inns, is in the medieval market town of Midhurst. 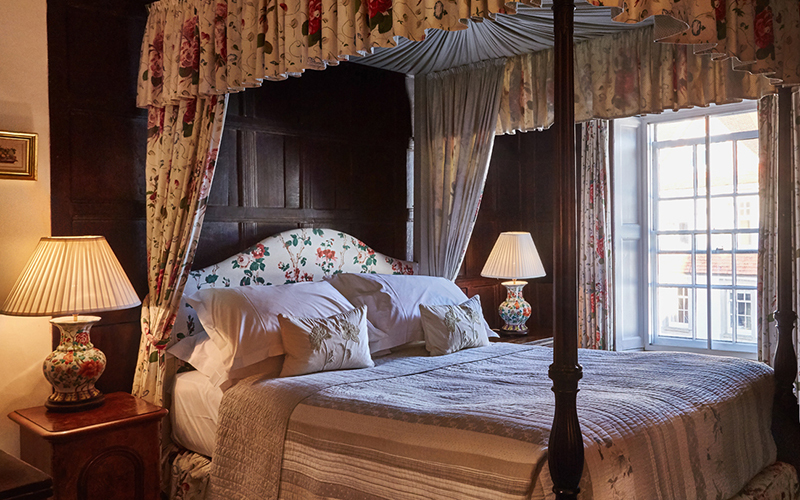 The Spread Eagle is a place where inglenook fireplaces, exposed wood beams and hanging tapestries sit happily alongside the modern, Scandinavian-style spa and mosaic swimming pool. Over a welcome juice of orange, apple and ginger, the retreat leader, Elaine Vaughan, talked us through her "Top 10 Tips for Health". Elaine has practised Hatha yoga for over 30 years and is a passionate advocate for wellness, however, she is also pragmatic. She suspected she wasn't going to turn us into dedicated raw-food vegans overnight (although this might work for some). Indeed, Number 10 on her Top Tips for Health is "Take baby steps". Make small changes, one at a time, to your lifestyle until each change becomes a habit you don't have to think about. Then add another change. Don't try to do everything all at once because you can't and you won't. After a tasty lunch -- my choice was mozzarella and tomato salad, followed by fish -- we tried our first restorative yoga session. Elaine emphasised that we should listen to our bodies and do what felt comfortable, not what felt uncomfortable. I enjoyed the restoration for several reasons: Elaine made sure the movements were suitable for all abilities (and catered for those of us with awkward knees); we were able to support our bodies with bolsters, blankets and blocks as we stretched and unwound so nobody felt under pressure or strain; and, finally, because the session ended with deep relaxation. We all left uplifted and calm. In our newly-found zen-like state, we were able to make the most of the bijou spa. 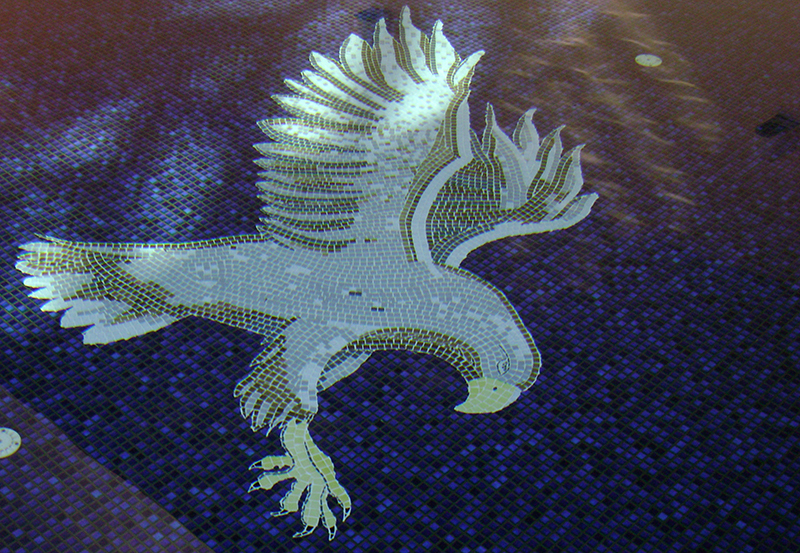 The 14-metre blue mosaic pool has a golden spread eagle picked out on its floor. I enjoyed my swim alternately looking up at the sky through the glass vaulted ceiling, then out of the large windows to the courtyard garden; on our visit, the apple tree was red with fruit and orange with leaves. 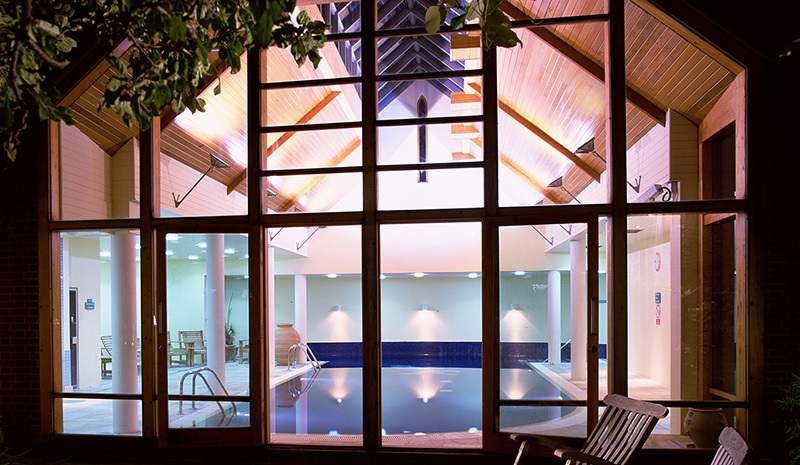 A small sauna and steam room are to one side of the pool and a Jacuzzi overlooks the garden. As part of the retreat, you have a 25 minute spa treatment. I chose the Media Drift Away, a back, neck and shoulder massage using the aroma-therapeutic Temple Spa products. My therapist, Steph, used the Drift Away massage oil, as its ingredients of lavender and patchouli are designed to combat stress. She worked the oil deeply into my shoulders and neck muscles, unknotting the knots, wrinkling out the crinkles, and smoothing me out ready to bend like a veritable willow next time I was on a yoga mat. A lovely, healing touch. Just the short treatment is included in the retreat, but you could book yourself a longer massage, a facial, scrub or wrap. In the early evening, Elaine met us with green juice -- spinach, kale, celery and apple -- which was both fresh and delicious. We talked for a while -- Elaine's style is more discussion than evangelical lecture -- about ways in which we could make simple and practical changes in our daily lives to improve our physical, mental and emotional wellness. The short length of the retreat means that it is ideal for busy people; you can take a day out of normal life, open a window onto new ideas, and take away the ones that are right for you. The evening ended with dinner. The menu at the Spread Eagle makes the most of locally sourced ingredients; on offer on our visit were South Downs venison, salmon cured in Blackdown gin, and South Coast crab, with twice baked Sussex Cheddar soufflé among the vegetarian options. After enjoying my sea bass and a soporific glass of delicious red wine -- there is nothing Puritanical about this yoga break -- I fairly melted into sleep in my grand four-poster bed. The red wine was recommended by our waiter -- all of the staff at the Spread Eagle were friendly, efficient, and contributed much to the welcoming and relaxing atmosphere of our small retreat. Day two began at 8am with Elaine leading us through 30 minutes of breathing exercises to get us grounded and calm; useful techniques if you ever feel anxious or nervous. I then managed to fit in another swim before breakfast, which made me feel truly virtuous. Breakfast itself offers plenty of fruit and juices as well as traditional eggs and bacon. We then enjoyed a one hour Vinyasa Flow yoga session, which aimed to increase the energy flow within our bodies and send us on our way invigorated. We moved gently and seamlessly from position to position, with Elaine reminding us to breathe, to relax into the posture, and checking our alignment individually. It was hard work at times but thoroughly rewarding. Again, the divine Elaine occasionally helped me move my hands and hips into a more balanced posture. Also again, we ended with deep relaxation as the birds sang outside the windows. I found it quite difficult to accept that I was now going to have to return to the real world. But as I did so, it was with appreciation and gratitude for what life has to offer, rather than a return to the same old challenges. Perhaps the strongest message I took from Elaine was that when you feel overwhelmed: "Don't lean back into the past or worry about the future. Just enjoy today." The retreats at the Spread Eagle are suitable for yoga beginners as well as improvers, and all ages as well as abilities. Given the lovely food, as well as the food for thought, we felt our one-night taster offered good value for money. Yes, you may already know that you ought to do more exercise and drink more water, but Elaine's encouragement may actually persuade you to do so -- with handy tips on how to. What seems impossible may become achievable. I spent only 24 hours in Midhurst, but returned from under the wings of the Spread Eagle refreshed and revitalised. And I enjoyed the day. Bargain. 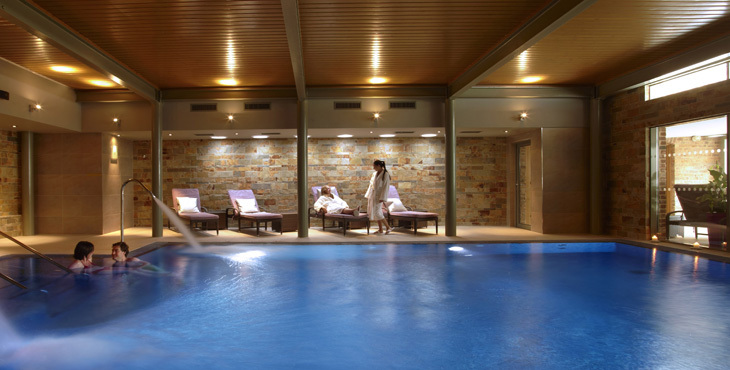 The next yoga retreat at Spread Eagle Hotel & Spa is on 3 November 2015. Prices start from £299 per person. 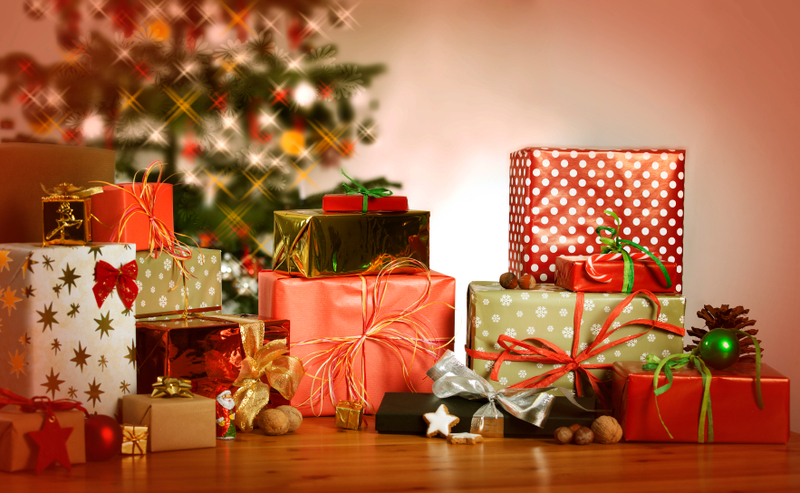 Shop and Spa this Christmas with our calendar of spa shopping events.